Palm oil (known in the science world as ‘Elaeis Guineensis’) has been a hot topic recently, especially since the supermarket, Iceland, released its ‘Rang-tan’ advertisement in August last year, which was later banned from TV. The animated advert featured a sad orangutan, who was upset about the deforestation of his natural habitat due to palm oil production. The message of the ad was to put pressure on top brands who use palm oil within their products. It was banned from TV because it was deemed too political by the Advertising Standards Authority (ASA). So, what is palm oil? And why has it caused so much uproar? Palm oil is an edible vegetable oil which is used in almost half of the products found in UK supermarkets, such as chocolate, pizza, shampoo, lipstick, soap, and margarine. It comes from palm oil trees, which are grown in forests in Indonesia and Malaysia. 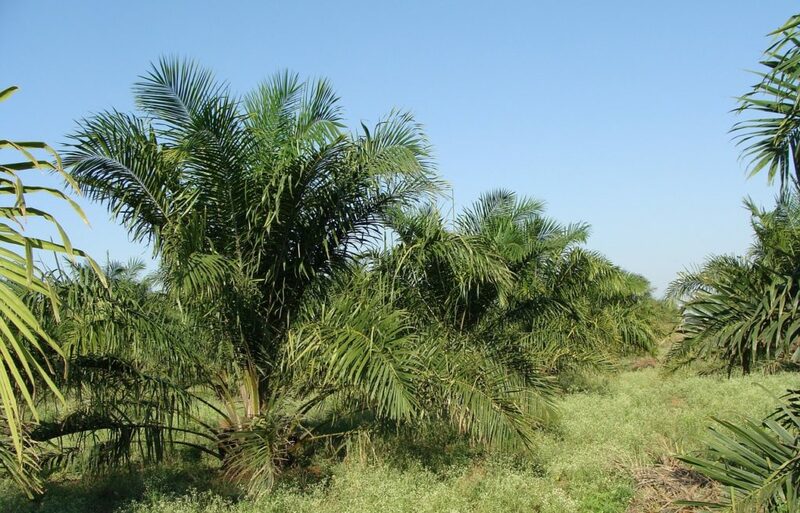 From these trees, two types of oil can be produced: crude palm oil and palm kernel oil. Crude palm oil comes from squeezing the fruit that are produced by the trees, which are each made up of about 50% oil. Palm kernel oil comes from crushing the stone (called a kernel) in the middle of the fruit. Each tree can produce 10 tonnes of fresh fruit bunches per hectare, which is a lot of oil! As it is so versatile, palm oil is widely used; its resistance to oxidation gives products a longer shelf-life. Plus, at high temperatures, the oil remains stable, so it is able to give fried products that crispy texture. Oil palm trees are native to Africa, but were brought to South-East Asia just over 100 years ago. Now, 85% of global supply comes from Indonesia and Malaysia. The history of this oil stretches back thousands of years! In the late 1800s, archaeologists found palm oil within a tomb in Egypt dating back to 3,000 BC. By the middle of the 15th century, palm oil was being used as a local food source by European travellers to West Africa. The British industrial revolution created a demand for palm oil – for candle-making and as a lubricant for machines. It was introduced into Malaysia in 1910, which then emerged as the world’s largest palm oil producer between 1970 and 1990. Palm oil forests are home to many different species of animal, including Orangutan, pygmy elephant and Sumatran rhino. In order to extract the oil from palm trees, these forests need to be uprooted, destroying the habitats of these animals. But it’s not just animals losing their homes – many local people are also forced to leave. According to Greenpeace, an area the size of a football pitch is lost every 25 seconds in Indonesia alone, having a devastating effect on local communities. As well as this, when the forests are destroyed, carbon-rich peat soils produce tonnes of greenhouse gases into the atmosphere, harming the environment. Shockingly, child labour and worker exploitation is still a big issue within the production of palm oil, another reason why many are strongly against this industry. Let’s go back to Iceland’s TV ad. It was produced in partnership with Greenpeace, an organisation that defends the natural world and promotes peace. 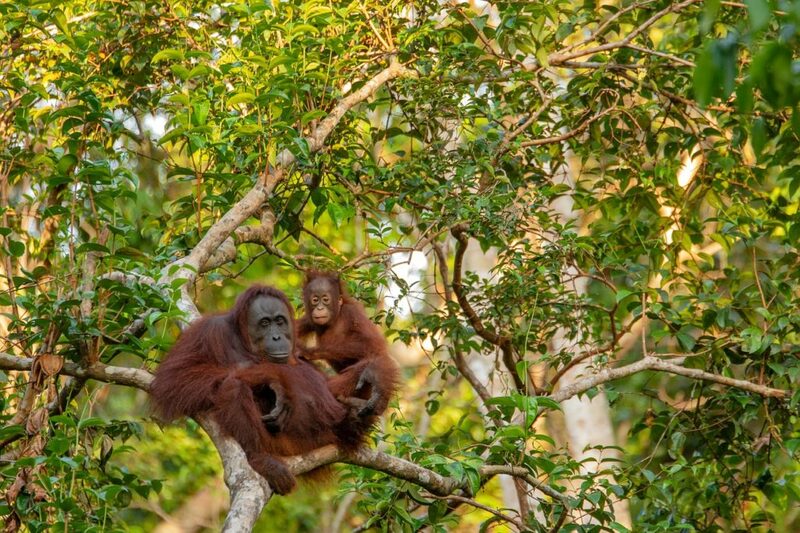 The ad has now received over 5.9 million views on YouTube (as of March 2019) and has sparked a petition to end the production of ‘dirty’ palm oil, which already has over 1.2 million signatures. They are aiming to get big brands such as Unilever and Nestle to drop palm oil from their products. The WFF (World Wide Fund for Nature) is a non-government organisation, working towards wilderness preservation, and the reduction of human impact on the environment. They are also fighting against palm oil and raising awareness of the consequences of the production process. In 2012, the UK government set a commitment for 100% of the palm oil used within the UK to be from sustainable sources. In 2016, 78% of the total palm oil imports to the UK were sustainable, meaning there is still some way to go. The sustainable production of palm oil, where habitats aren’t destroyed and the environment isn’t harmed, is possible. In 2004, the Roundtable of Sustainable Palm Oil (RSPO) was formed. They have production standards that set best practices for producing and sourcing palm oil. They are a not-for-profit organisation who set these standards for companies. Brands must comply with these criteria in order to produce Certified Sustainable Palm Oil (CSPO).